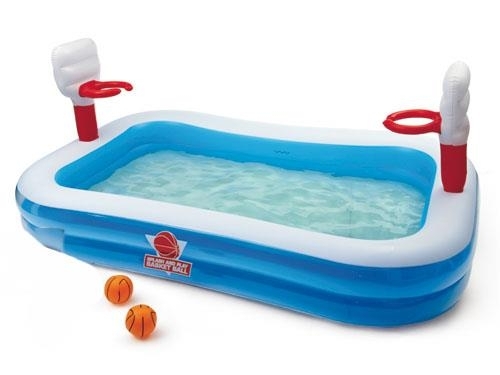 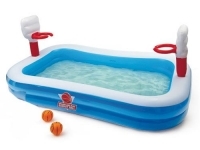 The fantastic splash and play basketball pool will create hours of fun for your little ones. 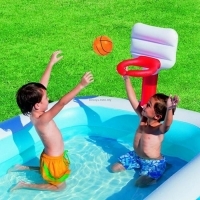 This pool comes complete with 2 inflatable basketball hoops at either end of the pool and 2 small basket balls so kids can practice their basketball slam dunk skills all day long. 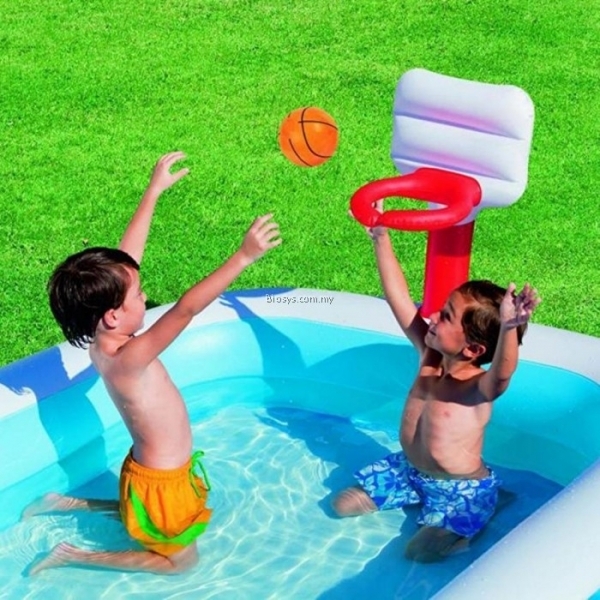 This is a great way to keep the kids cool on warm summer days and encourage active outdoor play. 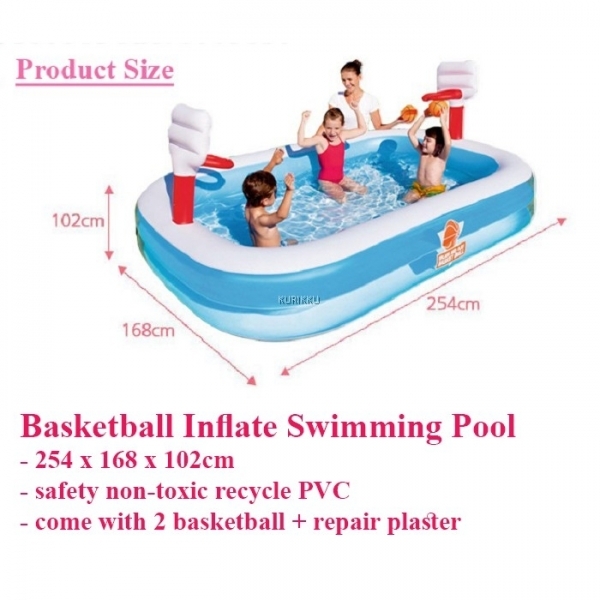 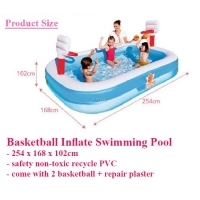 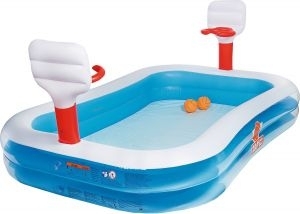 This large inflatable paddling pool has a sturdy I-beam construction with extra wide side walls which ads more strength and stability to the pool.